Congratulations to the newly-elected 2013-2014 Aggie Yell Leaders! 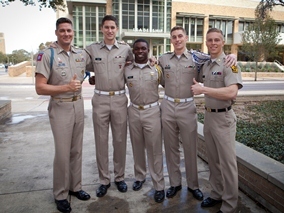 Though each of these young men arrived in Aggieland on a path distinctly different from those taken by his fellow Yell Leaders, all have strong ties to TAMU, feel privileged to have been elected, and are ready to serve and represent the TAMU and BCS communities in this important role starting in the fall. Their stories are moving, inspirational, and worth reading. In this goose-bumps-inducing photo, children pour cold water on themselves under the "guidance" (?) of fitness coach Margarita Filimonova at kindergarten 317 in Krasnoyarsk, Russia on February 5th. 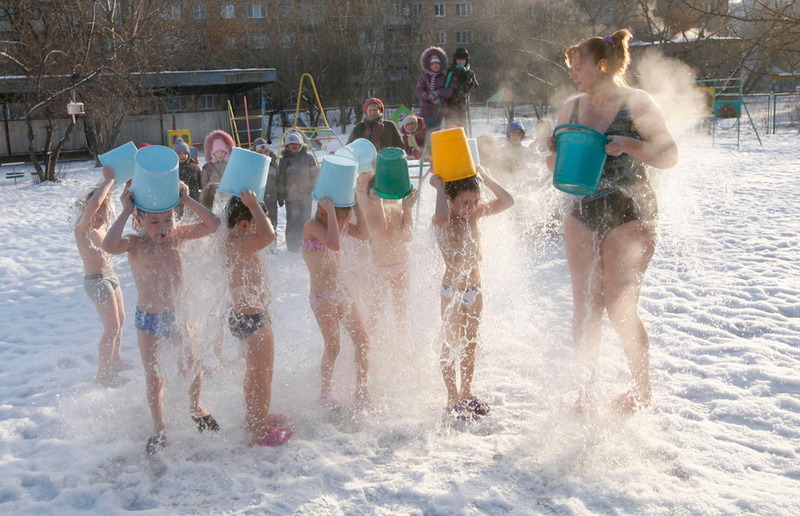 The air temperature outside was -23 degrees Celsius (-9.4 degrees Fahrenheit) when this annual activity - practiced by the kindergarten for 15 years - took place. These kids make our swimsuit snow angels look kind of, well, elementary. Someone with too much time on their hands (or a team of people with too much time on their hands, otherwise known Screen Junkies, I believe) assembled a 26-minute video of all of the stares - defined as any shot of someone staring without voiceover or dialogue - in the complete, five-movie Twilight Saga. I'm not necessarily suggesting that you watch the entire video, but regardless of whether you're a Twilight fan or a Twilight haters, my guess is that you'll get a kick out at least a few minutes of it. I certainly did. It was a bright sunny day - barely any wind to speak of - when a large oak tree in my parents' backyard fell directly onto their garage, completely crushing the garage and the car inside it. And it was a bright sunny day - barely any wind to speak of - when the stop/street sign in our front yard took a tumble. Don't worry though, because Hallie has this corner's traffic under control. 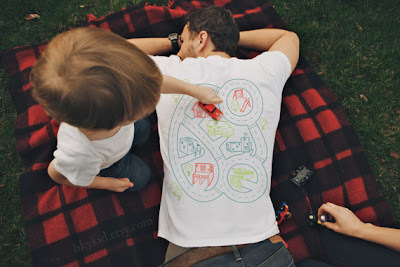 I'd much prefer a real massage - given by a professional and in a quiet, calming environment many miles away from my children - but since it doesn't look like I'm going to be able to fit one in until at least 2017, I'm thinking about purchasing this shirt and settling for a race car massage. Happy weekend, folks - I'm off to Illinois to meet my new nephew!